Good Garage Scheme Car Servicing in Great Britain : Love your Car! 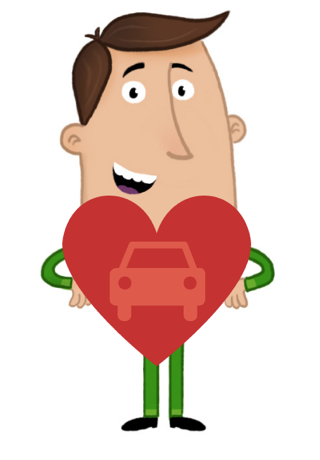 Miles Better says, "Love your Car"
And it will look After You! With Valentine’s Day just around the corner, the Good Garage Scheme asks you to spare some affection for something you may often overlook...your car. It's always there to take you and your family to work, school and for the all-important weekly shop, but do you give your car the due care and attention it deserves? Whether it’s booking that overdue service, checking the oil or making sure you make a note of the due date for your MOT or insurance renewal, there are plenty of ways to show you love your car. The Good Garage Scheme can help. Simply visit www.GoodGarageScheme.com for motoring advice or to make an appointment with your local member garage for a Winter Check.